Due to insecurity, aid cannot reach more than 50,000 people displaced by conflict that may be related to a long-existing struggle over resources in Benishangul-Gumuz. Ongoing violence that first flared in late September around the state’s disputed border with Oromia has also led to more than 150,000 Oromo fleeing their homes, who are receiving only limited assistance. Some members of the Gumuz community say they will be killed if they cross the regional boundary. The critical humanitarian situation is the third on Oromia’s peripheries after similar outbreaks of violence with communities in Somali state and the Gedeo people in the multi-ethnic southern region. That has led to 2.2 million Ethiopians internally displaced by conflict, which included the highest number in the world in the first half of this year. Although the regional governments reached an agreement to restore peace, clashes are ongoing and the inter-regional road is closed. In recent weeks, witnesses reported that a Gumuz individual and two Oromo were killed in Yaso Woreda and two Gumuz, two Amhara and an unconfirmed number of Oromo died in Belo Jegonfoy Woreda. The turmoil is centered on Kamashi, which is the southernmost chunk of Benishangul-Gumuz and is surrounded by Oromia on three sides. The regional state is the homeland of the Berta, Gumuz, Shinasha, Komo and Mao, as well as significant populations of native Amharic and Oromo speakers. In a 2007 census in Kamashi, out of a population of 101,000, Gumuz comprised 61,000, Oromo 25,000 and Amhara 11,000. The territory that is now Kamashi was in Wollega province before Ethiopia was restructured in 1991. It is primarily home to Gumuz who used to live in the Didessa area of Oromia and belong to a fragmented community that has been victims of slave raids for centuries, according to a research paper. The regional border is not properly demarcated and there have been sporadic outbreaks of violence over the last two decades over administrative power and resources such as sand and bamboo, said another academic study. The area comprising Benishangul-Gumuz formally became part of Ethiopia under the terms of a Nile-focused 1902 treaty signed by Emperor Menelik II with Great Britain, which ruled Sudan. Under Ethiopia’s 1995 federal constitution, the region is autonomous and administered by locals, which was not the case under the Derg military regime or Emperor Haile Selassie. Deposits of gold drove expansion into the area in the mid-19th century by the Egyptian rulers of Sudan and by Menelik’s armies in the late 1890s, wrote Ethiopian historian Bahru Zewde in his 1976 doctorate. “Gold was the overriding pre-occupation of the conquerors, and their entire administrative and military machinery was geared towards the speedy acquisition of as much of the precious commodity as possible,” he wrote about the Egyptians. Australia-based Berta activist Khalid Nasser claims that indigenous people have historically been denied access to ancestral land, which has been settled and farmed by outsiders, and that Ethiopia’s most powerful groups have always had designs on the region. “Historically Benishangul is a Sudanese land that was abandoned due to lack of responsibility and patriotism. Now there is a big rivalry between Amhara, Oromo and Tigray, which is making the people of Benishangul suffer tremendously,” he said. A researcher who has worked in the area thinks the root cause of the latest unrest might be competition for the rich resources of the area, which includes deposits of marble, coal, emerald, platinum, as well as fertile farmland and large gold reserves. “We need your land not you,” a witness claimed they had heard from Oromo. However, the researcher said much of the agricultural investment in Kamashi is by Gumuz elites. The promising Tulu Kapi mine operated by Kefi Minerals is in West Wollega, while surveying has shown there are high quality gold deposits in Benishangul-Gumuz. They may amount to more than 400 tons of the precious metal in what is a cost-efficient mining location, said Owen Morgan, the former Chief Operating Officer of GP Resource Mining, which explored a concession in the area from 2011 until 2015. Ethiopia is estimated to export around 12 to 13 tons of gold a year. “The Benishangul-Gumuz deposits are not going to put it in the world’s top 10 locations, but they would put it in the top 40. The gold potential in the region is fantastic, and the deposits are shallow, it’s not deep mining,” Morgan said. 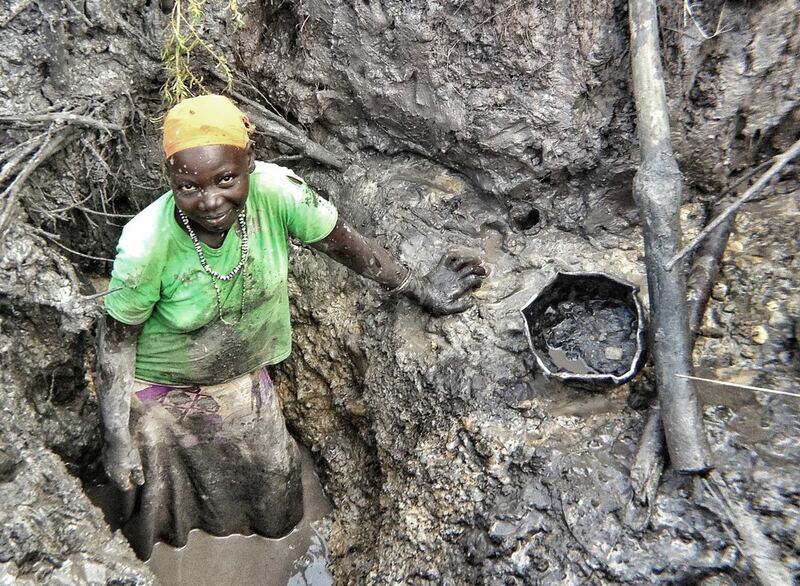 The license for Ethiopia’s only commercial gold mine at Lega Dembi in East Guji Zone of Oromia was suspended in May after protests over pollution. The mine is operated by Midroc Gold, which is owned by Ethiopian-born Saudi billionaire Mohamed al-Amoudi, who is thought to be still under house arrest in Riyadh. Midroc Gold has been preparing to mine gold from a concession in the Sudan-bordering Metekel Zone of Benishangul-Gumuz, the location of the troubled Grand Ethiopian Renaissance Dam. The first major incident in Benishangul-Gumuz that evolved into the serious violence occurred in Assosa, the regional capital, on June 28. Berta youths demonstrated demanding the release of militia that had been kidnapped weeks before, allegedly by rebels affiliated with the Oromo Liberation Front, a former designated terrorist group that was legalized in June by Ethiopia’s parliament. After days of Berta protests, which included looting and robbery, others organized against them. Clashes intensified, pitting lighter skinned ‘highlanders’ against darker indigenous people, and several were killed and injured, according to witnesses. Two weeks later, a senior commander of Benishangul-Gumuz special police from Mao-Komo Special Woreda was shot dead by armed men as he returned back from a public discussion on security issues, and an Ethiopian military colonel was killed, according to Kamashi officials. Further problems occurred with Oromo youth from Kiltu Kara Woreda of West Wollega Zone. According to witnesses, they raided Benishangul-Gumuz’s Sirba-Abbay Wereda Shawa Kebele and killed the administrator. Residents retaliated and a number of people were injured and killed from both sides. To try and resolve the problems, Benishangul-Gumuz’s police commissioner and Oromia’s anti-corruption head reportedly met in Asossa from Sep. 24 to Sep. 25. After the meeting, both Kamashi and West Wollega administrators went to Mandi town the next day to discuss with Oromo displaced from Shawa Kebele about returning home, an official said. Kamashi officials said they agreed on the process for resettling farmers from both sides. As the leaders were returning, they were stopped at a checkpoint on the Kamashi-Ghimbi road near Maqqi Billa. Although they were asked to get out, they initially refused, as there were two armed men by the side of the road. However, zonal police commander Geremew Golja left the car and begged the militia to release them. They refused and fired at them instead. Four died and four escaped by running into the bush, witnesses said. Geremew, Matiyos Banda, the Kamashi Woreda chief administrator, and two police officers were killed, a witness said. Geshile Dinbesha, Kamashi Zone deputy chief administrator and Banti Abashu, zone security head, Jermosa Daro and Gashu Sima escaped and were collected by soldiers. After the incident, Kamashi was said to be calm until Oromo militia reportedly attacked eight villages in Belo Jegonfoy, Yaso, Kamashi and Agalo woredas. Gumuz then retaliated, according to locals. 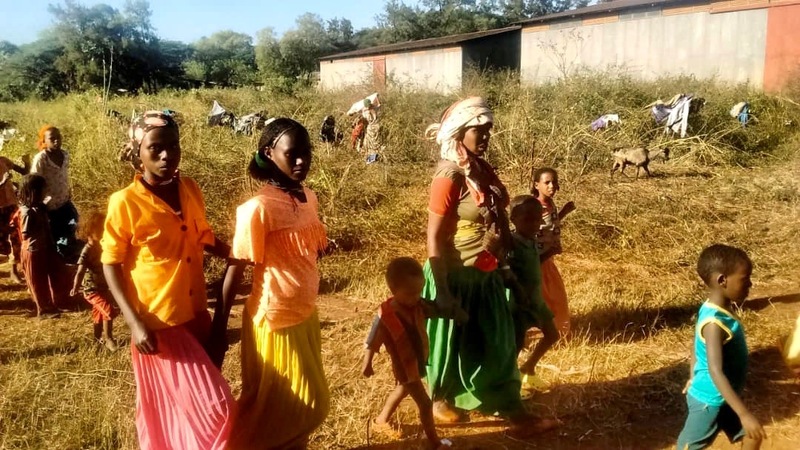 The number of Oromo deaths is uncertain, but Ethiopia Insight received multiple testimonies last month from displaced Oromo of systemic attacks by groups of Gumuz youth backed by local officials that forced them from their homes. They said the violence occurred in reaction to the road ambush, not after the alleged Oromo raids. The UN reported last month that at least 20 people reportedly died, without specifying where. In the week after the Billaa ambush, two Berta soldiers returning home for their break were reportedly executed in Nedjo in West Wollega. More than 40 Gumuz and Berta may have been killed, including 28 from a kebele administered by Sasiga Woreda in East Wollega, according to local sources. Eight Gumuz died in Agalometi, Yaso, and Sedal woredas, they said. A researcher who has worked in the area said the road to Kamashi has now been closed for more than a month. OCHA reported that in the second half of October emergency food and medicine had to be helicoptered into the zone. As well as inter-regional fighting, there has also been violence between Oromia’s government and an OLF faction, partly over the fate of its armed wing. There are hopes this will now ease after a Nov. 14 agreement. Some locals say there has generally been friendly relations between highlanders and lowlanders in Benishangul-Gumuz, strengthened by inter-ethnic marriages and economic and social ties. However, tensions have been heightened in recent years and Gumuz people were afraid to stay in Oromia in 2013 to 2015, according to the researcher. “When I was there in August this year, old ladies and kids threw rocks at our car as we drove through the Oromo communities along the border on the way from Kamashi to Nekemte,” they said. Ibro Mohammed Abdi, 65, a representative for displaced Oromo at a camp in Kersa Mojo, said he fled a border area after 100 houses were burned by Gumuz around Balo Asir in the latest episode of regular violence. “They slaughtered many people and now they started burning our houses, killing our people, and displacing us. They always start a fight at harvest time to rob our farms when we run away,” he said. 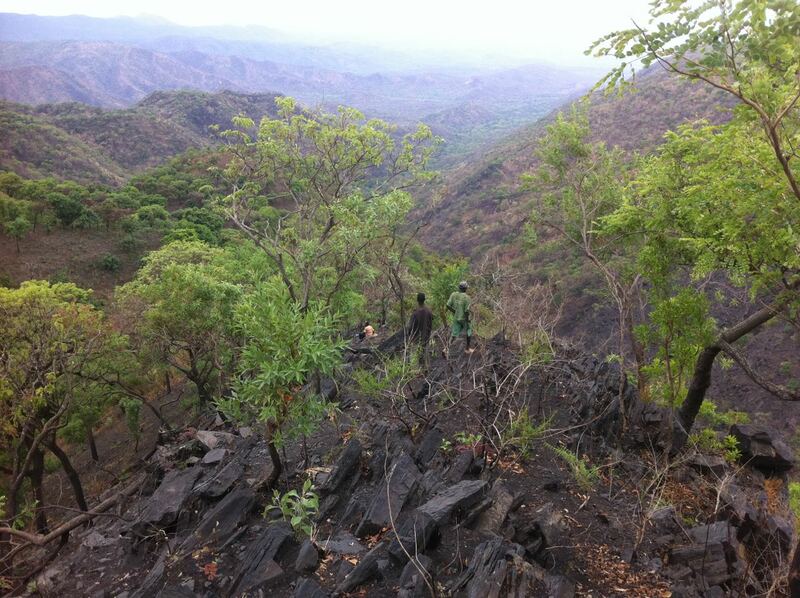 The Kamashi zone and the Dideessa valley where this conflict is occuring have been Ethiopian since the dawn of times. The Kingdom of Sennar/Kingdom of Funj, proto-Sudanese state rule never reached there. In fact these states were Orthodox Christian, closely allied to Ethiopia, up to the 1600s and Ottoman conquest. Today, the regional police commissions are acting like tribal militias, it is the root of the problem. Polices should be multiethnic and diverse, and their command responsible to national impartial authorities in Addis. Did you read my mind? If you did, its plegiarnism. I enjoy reading Insights because it offers perhaps the most independent, objective and analytical reporting on current events in Ethiopia. Its a complex place, and you need objective analysis to try to understand what is happening. Thank you for your excellent reporting!